Self-control is the chief element of self-respect; self-respect is the cheilf element of courage. 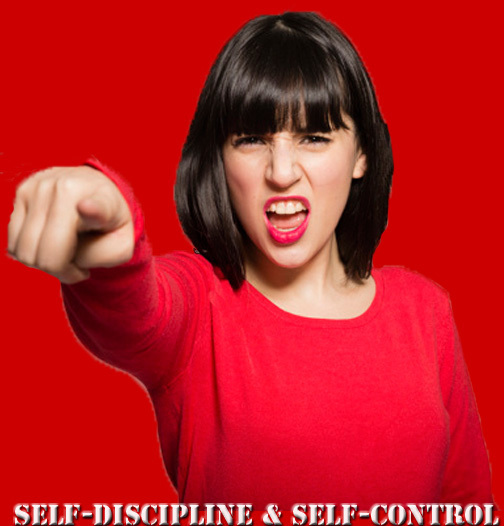 Self-control is one of the makrs of a mature person; it applies to control of language, physical treatment of others, and the cravving of the body. The ability to discipline ourselves to delay gratification in the short term in order to enjoy greater rewards in the long term, is the indispensable prerequisite for success. Human nature is complex. We have the inclination to empathy, to cooperation, to self-control, even if we do also have inclinations toward forcefulness. By constant self-discipline and self-control we can develop greatness of character. God has equipped us to handle difficult things. He has planted the seeds of discipline and self-control inside us. Love withoutt discipline is false; discipline withought love is force. We just have to water those seeds to make them grow! It is opt to us to choose to develop those seeds and become a better person. He is waiting eagerly to respond with new strength to each little act of self-control, small disciplines of prayer, feeble searching; we will be filled if we will only hunger and thirst after what He offers. I have learned that we are never going to enjoy stability; we are never going to enjoy spiritual maturity until we learn how to do what is right when it feels wrong; that every time we do what is right by using discipline and self-control to go beyond how we feel, the more painful it is in our flesh, but the more we are growing spiritually. I have also learned that very often in everyday life, we see that by losing our temper with someone who has already lost his/her, we do not gain anything but only set out upon the path of stupidity. When we have enough self-control to stand firm at the moment when the other person is in a temper, we win in the end. It is not he/she who speaks a hundred words aloud who wins; it is he/she who perhaps speaks only one word. Self-discipline is often disguised as short-term pain, which often leads to long-term gains. The mistakes many of us make is the need and want for short-term gains or immediate gratification which often leads to long-term pain. It makes us easy to offer compassion and forgiveness whenever we are patient enough to understand others. People, who are negative, spend so much time trying to control the situations and blame others for their problems. We have control over how we plan to react, feel, think or believe in the present, no one guides the tone of ourselves, except us!